This is one of the most interesting proposals we've seen all year. 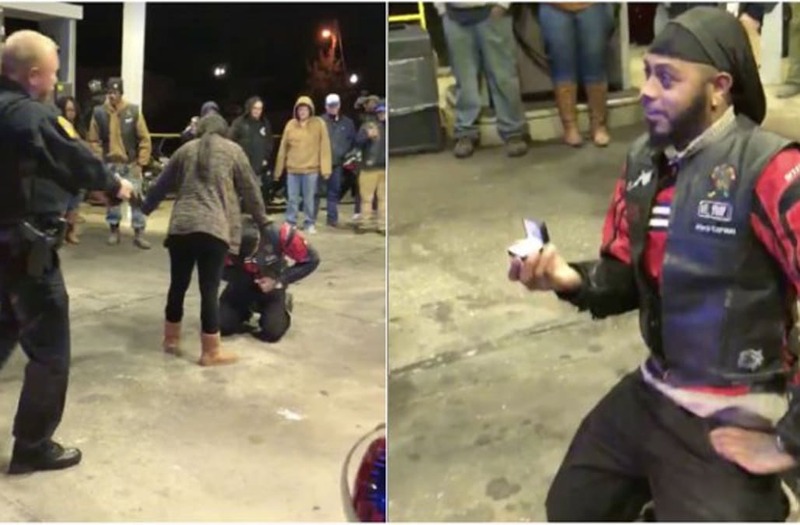 Daiwan Mcpherson asked the Mobile Police Department to help him propose to his girlfriend by asking them to stage an incident of 'police brutality' against him. He was out with his girlfriend, Shawna Blackmon, when the police pulled up, lights flashing, and two officers came out with guns drawn. The whole thing was captured on video as Mcpherson got down on the ground before his girlfriend literally put herself between the police and her boyfriend to try to intervene on his behalf. But then Mcpherson reached into his pocket as the police officers continued to play their part, demanding that he not reach for anything... right up until he pulls out the ring from his pocket to propose. And overwhelmed Blackmon can then be seen crying as the two police officers switch from demands to grins, and she even leans on one of them for support as she cries over the whole thing. You can check out the video below, and let us know what you think of this definitely unique approach to a proposal. Did this YouTuber go too far with her ‘dead girlfriend’ prank?